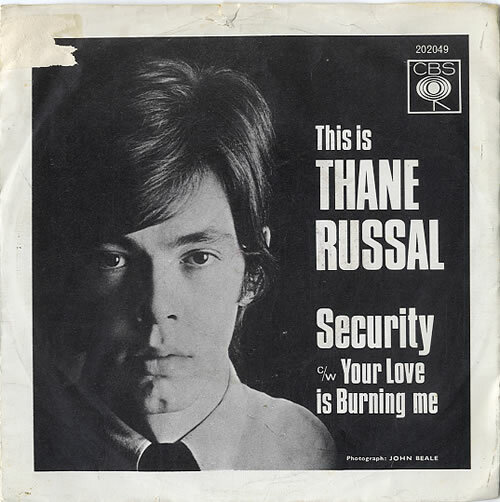 THANE RUSSAL Security (Monster rare Freakbeat masterpiece 1966 UK 7" mono single on a rough textured four-prong label, also featuring the trippy Your Love Is Burning Me, complete with the never seen picture sleeve. 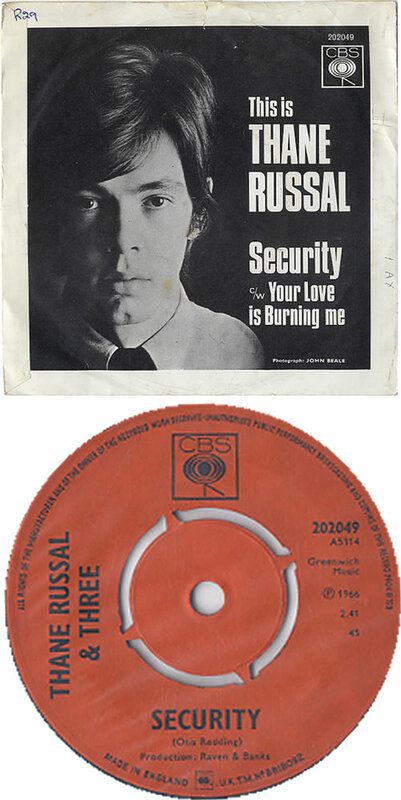 A raw & powerful reading of an Otis Redding gem, this is one of the best Freakbeat/Psych 45s to come from Britain, but was a major flop in this country, finding fame in Australia instead. See 'more info' for condition details...). There cannot be many surviving UK sleeves left for this. We have never seen one in the flesh before, so to speak. The monochrome sleeve is still in one piece, with the flipbacks nice & secure & the black & white print stunning. There are three obvious paper tears (1") at the edges & a few small corner annotations which are unobtrusive & would place this in a VG- bracket. Sold as seen, the vinyl meanwhile paints a very different picture. The disc is clean, & of course plays loud & proud. On close inspection, there is barely any spindle wear on the labels & no blemishes to the print. Just a few ever so faint paper scuffs under a bright light places this in an Excellent bracket. All in all, a serious must own!